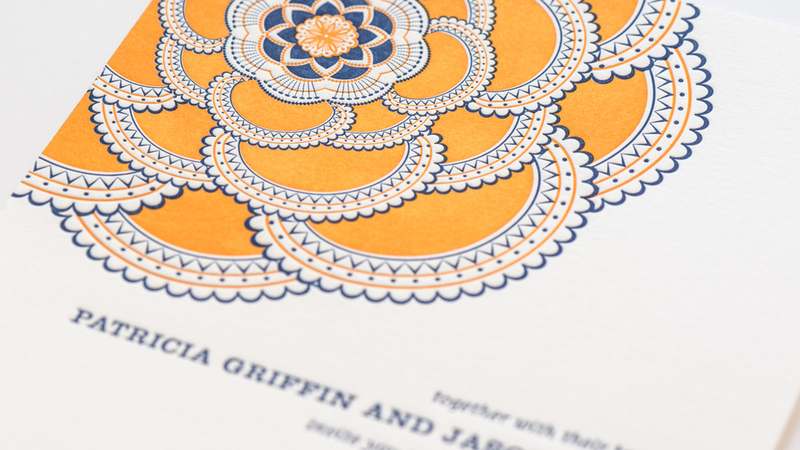 Just Paper & Tea | Wedding Invitations, letterpress, business cards and event stationery — Just Paper & Tea | Washington DC's best source for wedding invitations, letterpress, business cards & event stationery. 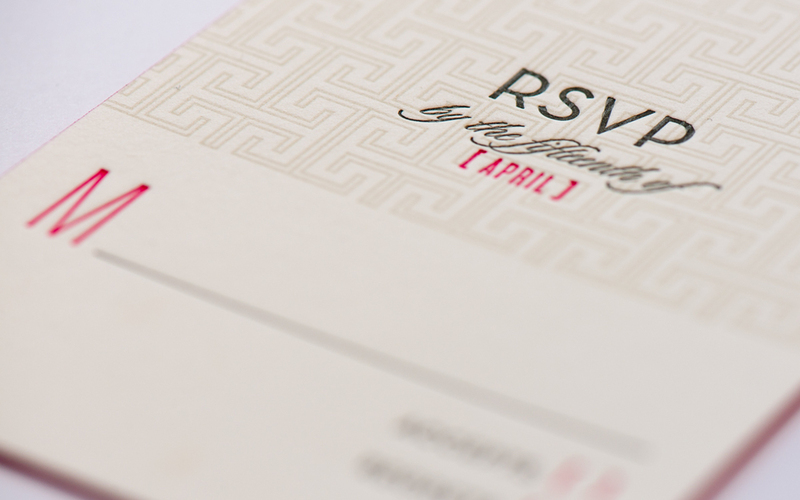 Just Paper and Tea is Washington DC's source for wedding invitations, letterpress, business cards, and event stationery. Just Paper and Tea is a charming shop in Georgetown offering letterpress, engraving, and thermography. We have one of the largest selections of fine papers in Washington, D.C. Please come in for a free consultation and learn how we can custom design your stationery for your wedding invitations, baby announcements, business cards, events or special needs. Choose from a great collection of unique designs or we can help you custom design your own. 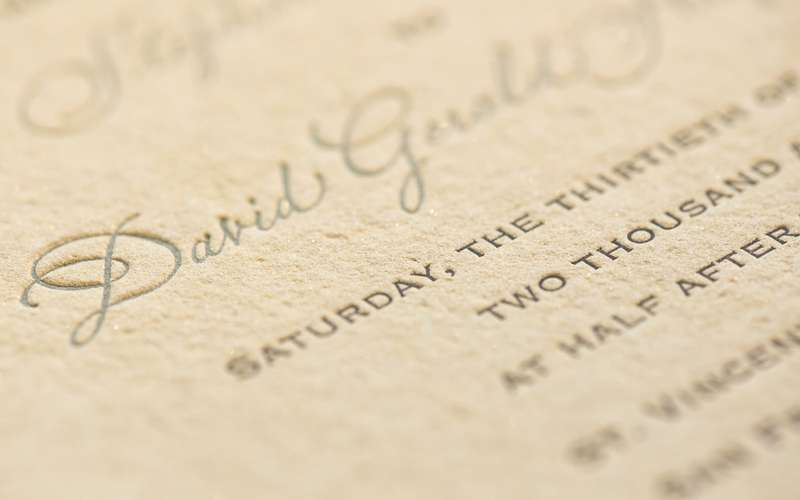 For wedding invitations, we welcome you to make an appointment. This is the oldest method of printing originally produced from cast metal type or plates. The face of the type is inked by rollers then pressed into the sheet of paper. Designs are etched into a copper plate. The plate is inked and then paper is forced against the plate at very high pressure. This process produces a raised ink and the characteristic indented impression on the back of the paper. 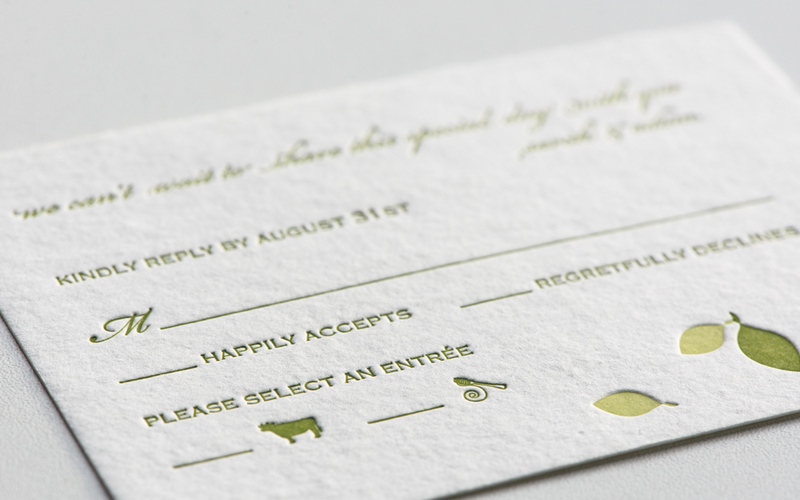 This method of printing results in a raised type that simulates engraving. The printed inks are dusted with a powder which is passed under a heater. This process fuses the ink with the powder and swells the lettering. Similar to the engraving process, but without ink. 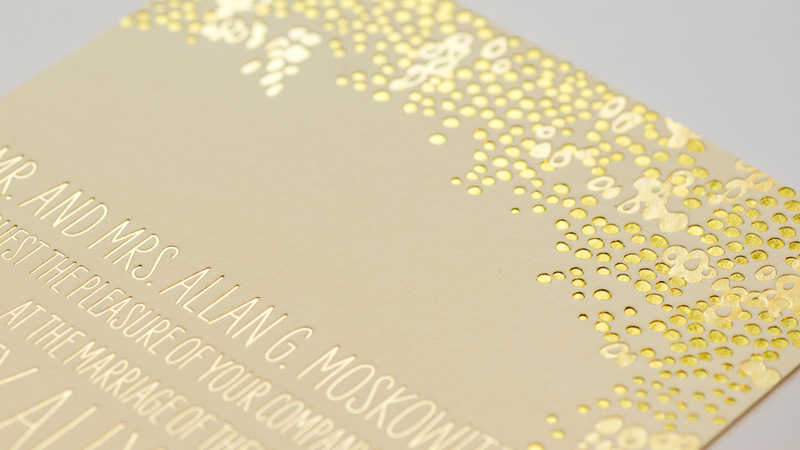 Embossing involves raising areas of a card surface above the level of the rest. The plate is pressed into the paper creating a raised look to the text or design. Foil printing is achieved by using heat and pressure to apply a thin layer of foil to paper. 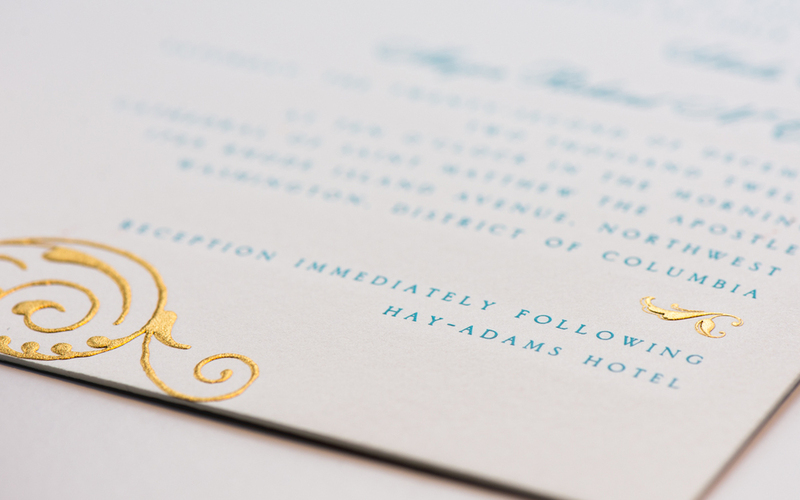 Foil stamping adds elegance to any invitation.